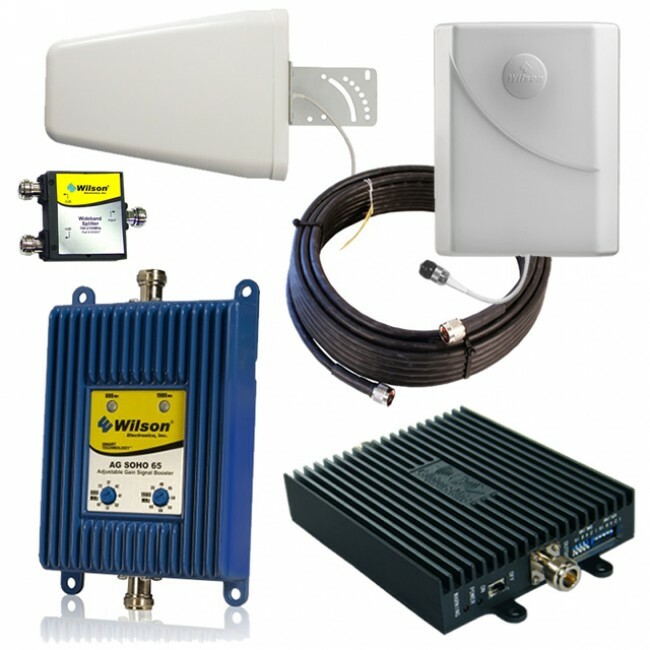 Our custom dual-amplifier kit boosts all 3G networks,* AT&T 4G HSPA+ and AT&T 4G LTE networks. This kit has been discontinued. 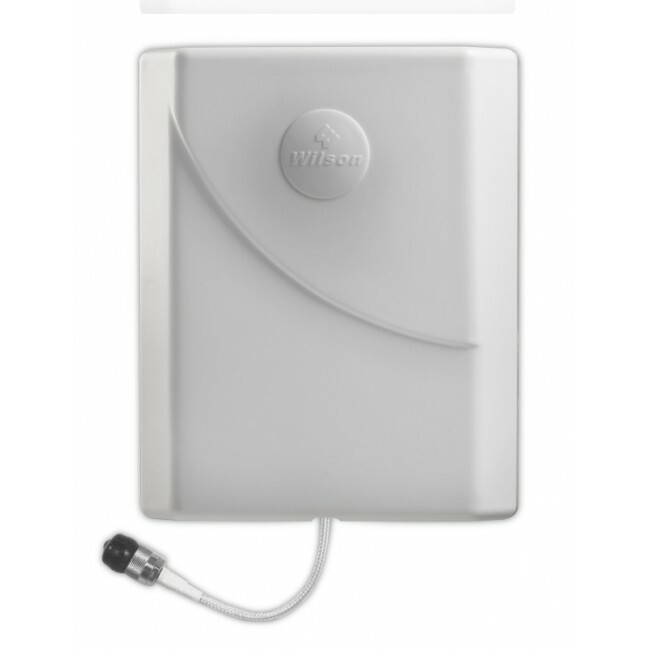 The new Wilson 461104 AG Pro Quint 70dB Signal Booster Kit - Voice, 3G & 4G LTE for all Carriers is just as powerful but only requires one amplifier and supports more frequencies. Or, feel free to contact us with any questions. 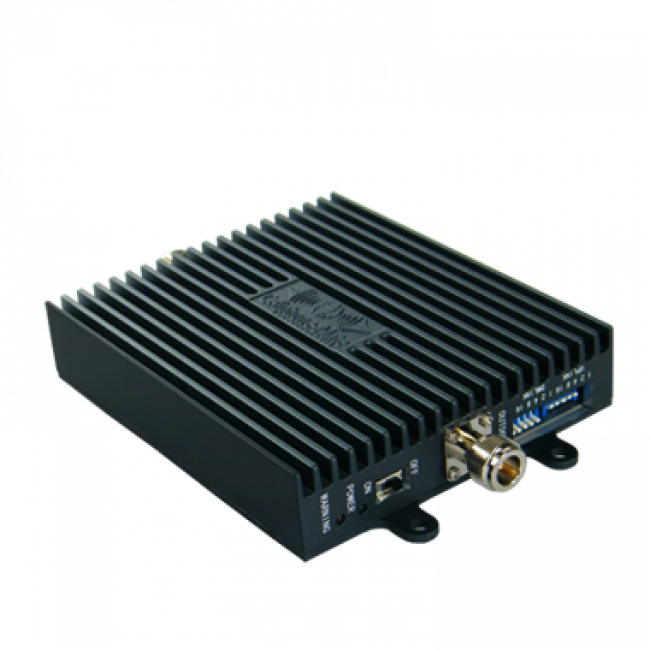 Our custom dual-amplifier kit boosts all 3G networks,* AT&T 4G HSPA+ and AT&T 4G LTE networks bringing you the best of both worlds. 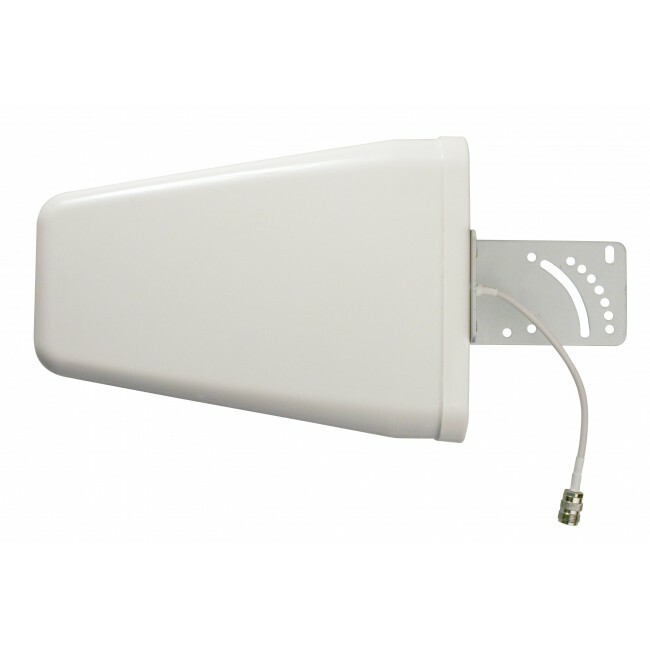 There currently aren't any tri-band amplifiers that cover both 3G and 4G AT&T LTE so this kit combines two amplifiers and two external antennas, but then combines the inside signal so only one internal antenna is required. 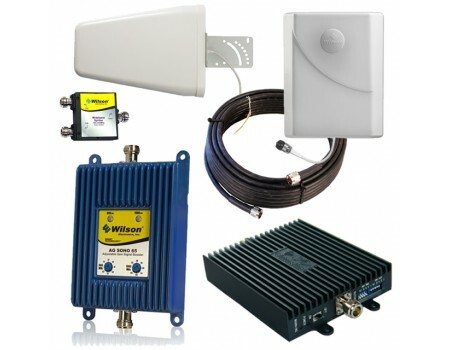 The system starts with two Wilson Multi-Band High Gain Yagi Outside Antennas (304411) that need to be mounted outside at least 10 ft apart pointing in the general direction of the cell provider's tower. 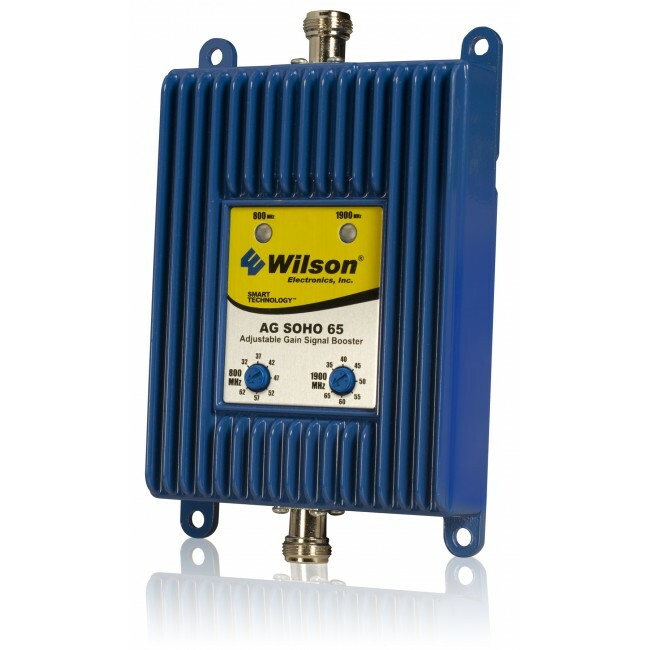 One Wilson 50' Ultra Low Loss Coax Cable (952350) connects from each yagi antenna to the outside antenna port of each amplifier. 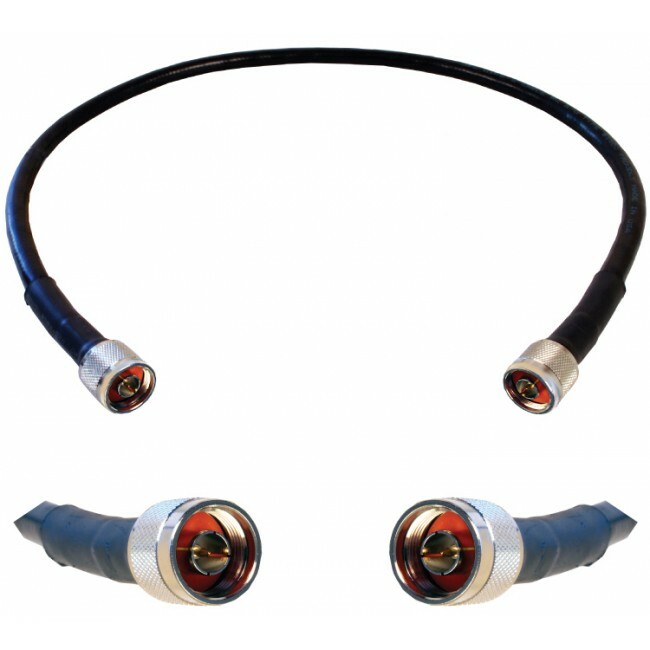 Optionally, a lighting surge protector can be inserted in each connection to protect the amplifiers from lighting strikes. 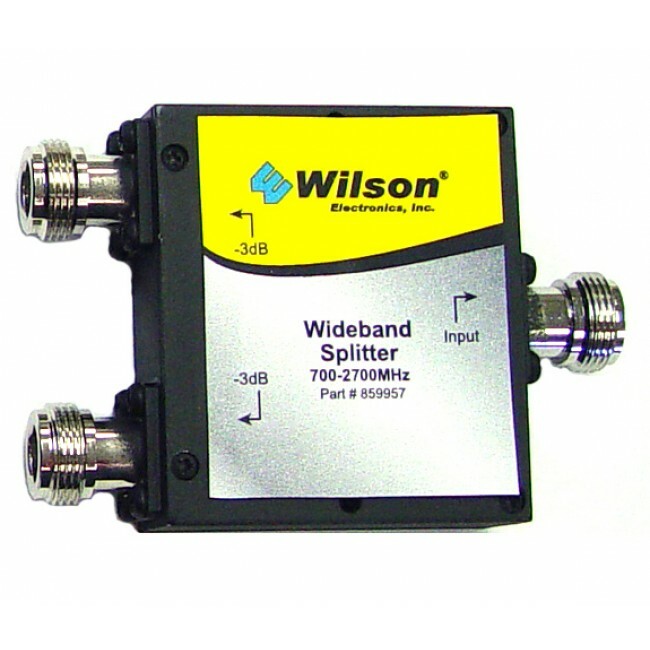 Next, one end of each Wilson 2' Ultra Low Loss Coax Cable (952302) is attached to the internal antenna port on each amplifier with the other end of the cables attaching to the -3dB ports on the Wilson 700-2300MHz Signal Splitter (859957). 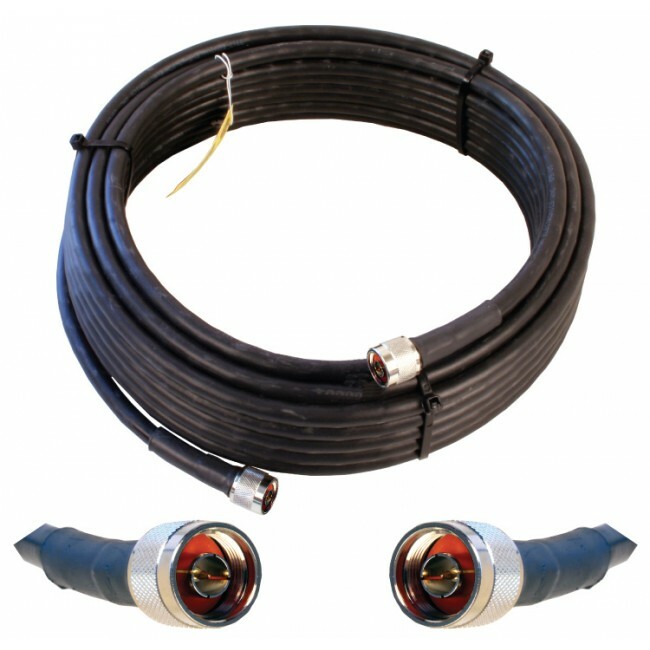 The last Wilson 50' Ultra Low Loss Coax Cable (952350) is connected between the Input connector on the splitter and the Wilson Dual Band Panel Inside Antenna (301135).